J. Jane Consulting | dorie clark. I recently had the sheer good fortune to meet an executive coach by the name of Beth Hand. Beth is an author and works in the field of leadership development. She was kind enough to invite me to attend the 2015 Business Book Festival in McLean, Virginia. It was one of those rare opportunities to stand in an intimate setting with those who have contributed to the literary world in a very big way. Upon arrival, I weaved in and out of the large group of exceptionally talented human beings and was quickly introduced to Dorie Clark. As we exchanged pleasantries, I sensed something starkly different about Dorie’s presence— she simply stands out. Sure, her intelligence was evident by her eloquent use of language… but there was something more that drew the crowd to her. As I walked away from our brief conversation, I turned around to observe the group of people waiting to speak with her. Why were they so interested in her? And then it struck me. 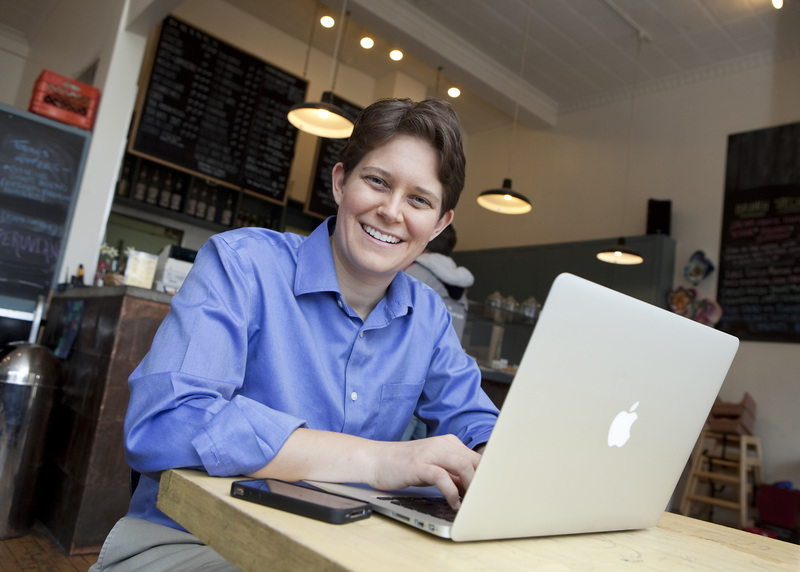 Dorie Clark has a genuine interest in sharing information in an effort to benefit others. She is a natural educator. Of course, I later learned that she has guest lectured at some of the top universities including Harvard Business School, the Harvard Kennedy School, Stanford University’s Graduate School of Business, the University of Pennsylvania’s Wharton School of Business, the University of California-Berkeley’s Haas School of Business, and Georgetown… just to name a few. Originally from a small town in North Carolina, Dorie grew up with an aspiration to get out and see the world. At an unusually young age, she entered into a program at Mary Baldwin College and began her quest for knowledge and to fulfill her desire to be around like-minded people. Now, Dorie is a marketing strategy consultant, professional speaker, and frequent contributor to the Harvard Business Review, TIME, Entrepreneur, and the World Economic Forum blog. I am honored that Ms. Clark agreed to join the j. jane conversation— prepare to be motivated! At the age of 14, you entered into Mary Baldwin College’s Program for the Exceptionally Gifted. At 18, you graduated Phi Beta Kappa from Smith College, and two years later you earned a Master of Theological Studies from Harvard Divinity School. How old were you when you recognized that you were “gifted?” And did that information add any pressure to perform? If so, how did you handle that pressure? I’m not sure “gifted” is the most helpful label to apply to me (and perhaps a lot of other people). I do support funding for what are currently called “gifted education programs,” which have been under fire in a lot of states, because I think it’s really important to provide challenging educational opportunities for students who want to work at a higher level, rather than just teaching to the mean and alienating a lot of people who might find it boring and too slow. But everyone I knew in the “PEG program,” as it was known, was pretty embarrassed by the moniker of “gifted.” I grew up in a small town in North Carolina and, while I’m certainly intelligent, more than anything I was motivated to go to college early to get out of my town and be able to have the kind of life I wanted. Sufficient motivation will get you almost anywhere! Why did you choose to pursue a degree in Theological Studies? And how do you feel what you learned applies to the work you do today? I’ve always been interested in how to live a meaningful life, and what that might look like. I was a philosophy major as an undergraduate, and then continued the quest at div school. While the specifics of what I studied – mainly the history and sociology of American religion – don’t directly apply, I see a continuation in my work today because so much of how we spend our time and derive our personal meaning is through our jobs and professional lives. In my books Reinventing You and Stand Out, I try to help people find the career that’s right for them, and make the greatest impact possible at it. I’ve met so many people who are unhappy with their current job. Can you offer any advice on making a career move? First, see if it’s possible to reshape your current job so that it comes slightly closer to what you want to be doing. Perhaps you can volunteer for a committee or take on some new assignments that will allow you to develop new skills and contacts in the area you’d like to enter. Second, start networking diligently – at least once a week, have a lunch meeting with either an old contact you want to reconnect with, or a new person in the field you’re entering that you’ve been introduced to. Finally, start bulking up your online presence, especially vis a vis the field you aspire to enter. If you want to get into fashion, start a Twitter feed focused on that area, or start blogging about it. You want to have a ‘paper trail’ so that people who are looking you up can see for themselves that you’re serious about making the switch and have good ideas. What inspired your latest book, entitled Stand Out? These days, it seems like everyone is screaming to get their message heard. In Stand Out, interviewed 50 top thought leaders in a variety of different fields to find out how they actually succeeded in breaking through. I distilled their best practices into a roadmap that regular professionals can follow, because I want the best ideas to win, not just the loudest voices. You have had the unique opportunity to interview many high-level influencers. Is there a common denominator that makes these people so successful? One common denominator, perhaps not surprisingly, is hard work. The great management thinker Tom Peters told me he gave 125 speeches a year at the peak of his success, and in Stand Out, I profile Angela Lussier, a career coach who built her practice by giving an astonishing 500 workshops in her first year of business. But that level of hard work is also good news: very few people are willing to do it, so if you are, you’re already in an elite group and are poised for success. What has been your greatest life lesson learned? I have a tendency to be opinionated and very firm in my convictions – which is great, but when I was younger, that often manifested in believing that I was “right” about certain issues while others were clearly “wrong.” I’ve gotten a lot more relaxed about that over time, and I think it’s been important to my growth. What is your best advice on how to live a graceful life? I really like the formulation of a “graceful life”! To me, people who are often the most graceful are hosts, or those who adopt a host mentality. In Stand Out, I profile Robbie Samuels, who started an innovative Meetup group called Socializing for Justice, which succeeded in bringing together more than 2500 Boston area nonprofit advocates. He talks about a great concept he developed called “bagel vs. croissant.” If you want to create an open and inclusive environment at events, he suggests, you should make sure to stand in a croissant formation – leaving an opening for others to join – rather than like a bagel, which is closed off to outsiders. I think that metaphor can extend to the rest of life, as well, and that may be the recipe for gracious and graceful living. I have spoken to countless people who are in the process of “reinventing” themselves. From women who set aside 10-15 years of their professional lives to raise children or those in the process of choosing an entirely different career path. Millions of us are in the process of deciding “next steps”, be it personally or professionally, and I highly recommend taking those steps with the guidance of this incredible woman.